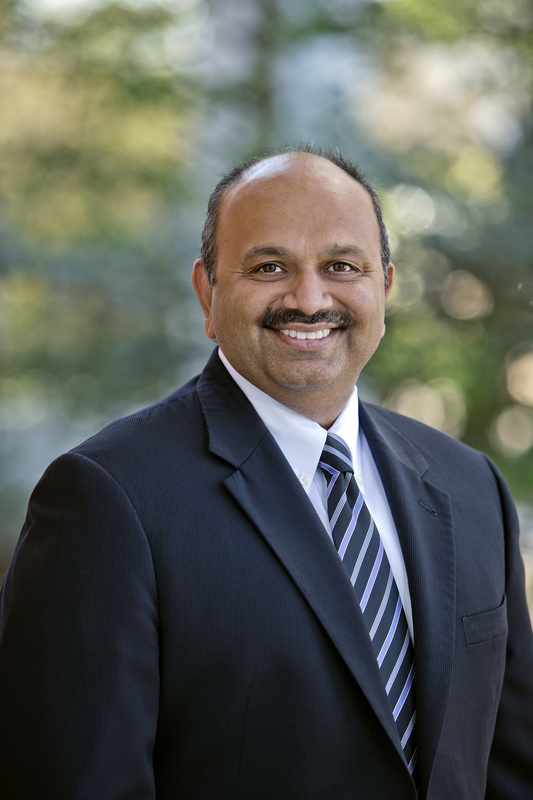 Amitabh Varshney became dean of the University of Maryland's College of Computer, Mathematical, and Natural Sciences (CMNS) on March 1, 2018. Varshney is a professor of computer science and former director of the University of Maryland Institute for Advanced Computer Studies (UMIACS). He also served a one-year term as the university’s interim vice president for research. An expert in computer visualization, Varshney explores applications of high-performance computer graphics and visualization in science, engineering, medicine and the arts. His research also involves virtual and augmented reality, an emerging field that could revolutionize education, health care, public safety, and the visual and performing arts. Varshney’s research findings are being used in many fields, including climate modeling, plasma physics, nanomanufacturing, architecture and industrial engineering, medical imaging, gene sequencing, and the creative arts. He has co-authored more than 80 articles in refereed journals or conference publications. Varshney is an elected fellow of IEEE and a recipient of the IEEE Technical Achievement Award and a National Science Foundation Faculty Early Career Development Award. He is also a director of the IEEE Visualization and Graphics Technical Committee. As a committed teacher and mentor, Varshney has advised more than 50 undergraduate students, 30 master’s degree students and 12 doctoral students. He taught the university’s first undergraduate course in virtual and augmented reality in 2016 and is co-leading a campuswide effort to launch a new undergraduate major in immersive media design. Varshney was named director of UMIACS in 2010, overseeing more than 70 faculty members and research scientists from 11 departments and six colleges on the UMD campus. As director, Varshney helped launch several initiatives, including the Maryland Cybersecurity Center, the Joint Center for Quantum Information and Computer Science, and the Corporate Partners in Computing program. Working closely with the CMNS Dean’s Office and the Department of Computer Science, Varshney also helped establish the Maryland Center for Women in Computing, which is committed to making computer science a field that includes people from all backgrounds. He is also strongly committed to developing long-term relationships with alumni, philanthropists, foundations, corporate and government partners, and peer institutions. Through MPowering the State—a strategic partnership between the University of Maryland, College Park, and the University of Maryland, Baltimore—Varshney helped bring together scientists and clinicians from both institutions to launch the Center for Health-related Informatics and Bioimaging. With new MPowering the State funding in fall 2017, Varshney established the Maryland Blended Reality Center. The center brings together critical care specialists from the University of Maryland School of Medicine in Baltimore with computing experts at the University of Maryland, College Park. Together, they will develop new virtual and augmented reality tools that will address four high-impact areas: critical-care patient diagnostics, human anatomy education, non-opioid pain management and implicit bias training. While leading the Division of Research, Varshney championed the university’s research priorities with state and federal agencies and helped secure two cooperative agreements with NASA worth more than $150 million for research in the space sciences and Earth system science. He also filled three new positions in the division that support research proposal development, national research initiatives and economic development. Varshney came to UMD as an associate professor of computer science in 2000, having spent six prior years as an assistant professor of computer science at Stony Brook University in New York. He received a B. Tech. in computer science and engineering in 1989 from the Indian Institute of Technology, Delhi, and an M.S. and Ph.D. in computer science from the University of North Carolina at Chapel Hill, in 1991 and 1994, respectively.